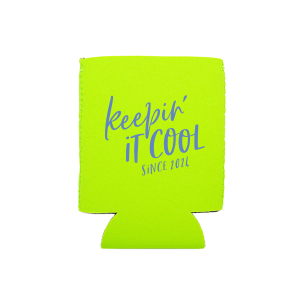 From small family gatherings to large celebrations, custom printed flat anniversary can coolers are the by far the coolest way to mark your years together and share your ‘coolness’ with others. 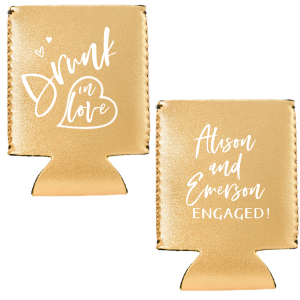 Design yours today! Show your friends and family that love CAN conquer all, and there is no better way to do that than with personalized anniversary flat can coolers. 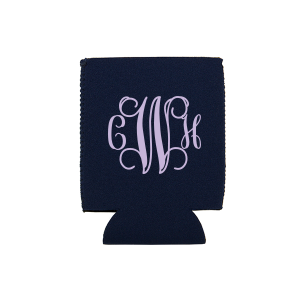 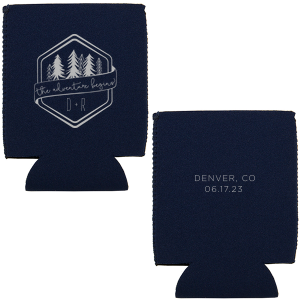 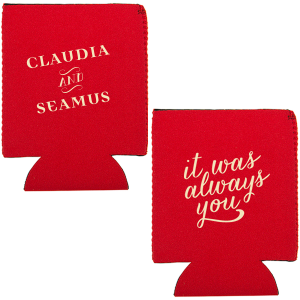 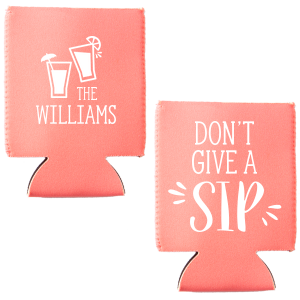 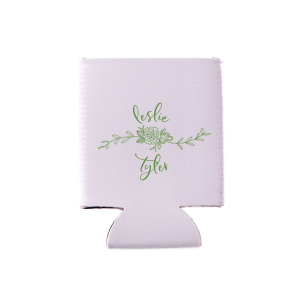 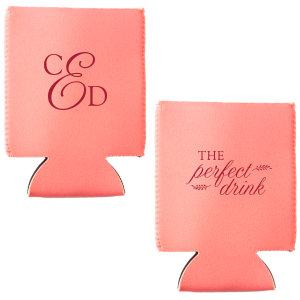 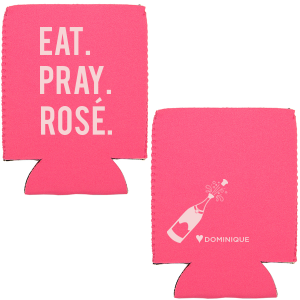 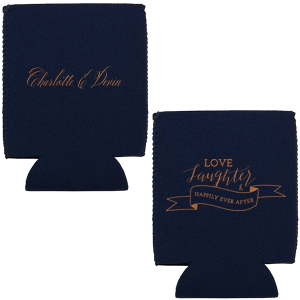 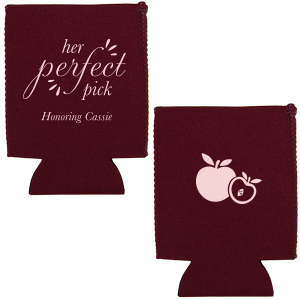 Personalize a custom designed double-sided flat can cooler as a party favor at your anniversary celebration, but be sure to keep a few for yourself. 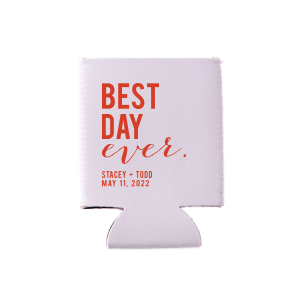 Your personalized anniversary flat can coolers will not only come in handy at ball games and beaches but will also make you pause and say “remember when….” Choose your favorite color combination for your custom printed anniversary flat can coolers. 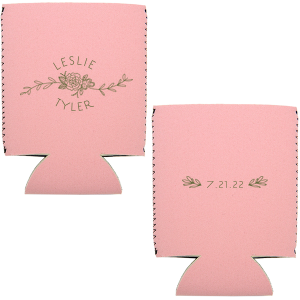 Use one of our design layouts for your custom printed anniversary flat can cooler or create your own design using graphics and fonts from our library. You can also design your custom anniversary flat can coolers by uploading your own art. After all, making a marriage work is a huge achievement so what better way to say we CAN and so CAN you. 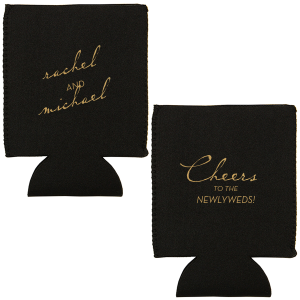 Design yours today.